Slightly grainy, but still good. An exercise in vertical lines, fine arts, fine architecture: the deckline tilts right, cabin line tilts left and the companionway hatch tilts right. Might just be that I have built the hatch with the wrong tilt, keeping in mind, where the boom will swing. 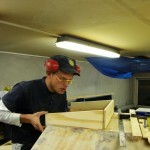 Uku working on the companionway hatch. Joosep laying epoxy fillets to the new planks. 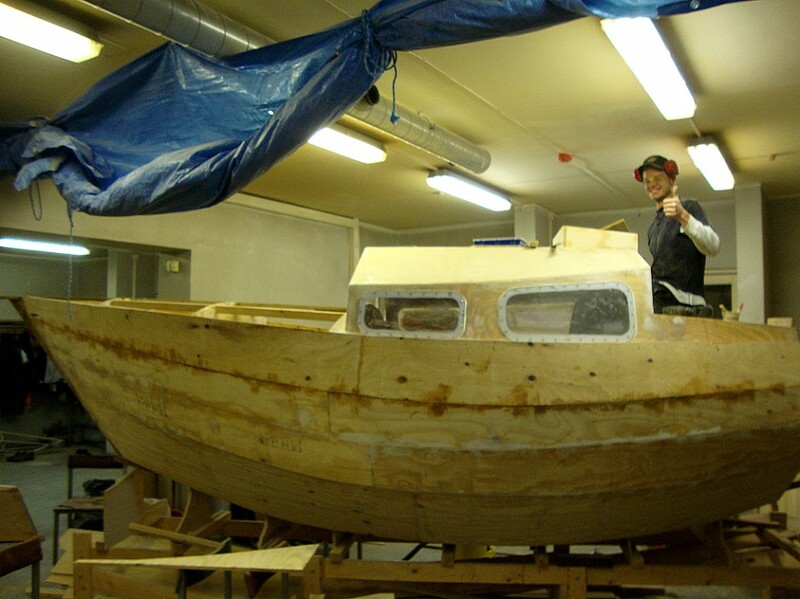 Our next plan is to place necessary bracings on the inner side of the planks, do additional sanding and filleting, interior painting and then decking up the boat. Completing the companionway hatch is in the plans as well.